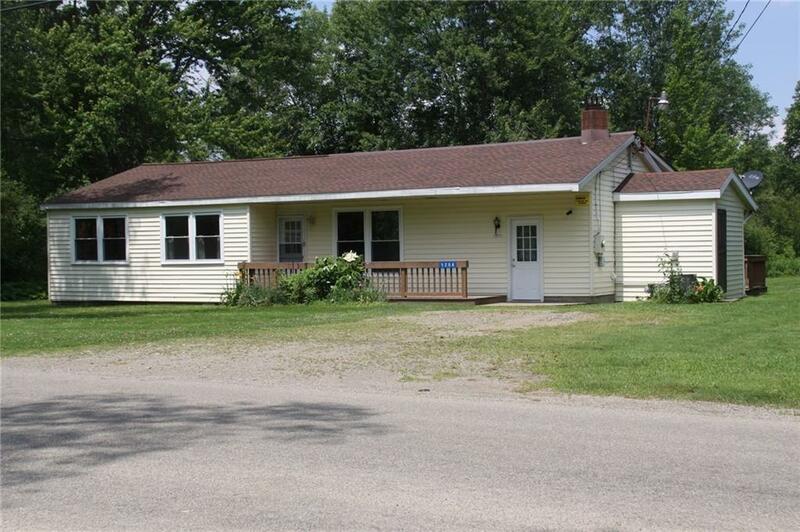 3 bedroom 1.5 bath ranch in Chautauqua Lake School Dist. Central Air. covered deck with Jamestown Awning canvas. Private yard. Also includes 50% ownership in 50' of lakefront lot located at 3754 Lakeland SBL # 332.12-1-10. New septic is in the process of being completed. Current taxes are based on 77K assessed value. Additional deeded lot in lake front has annual taxes of 216 based on 10K assessed value. Directions To Property: 394 To Stow Ferry Road At Hogans Hut. House On The Left - Lakefront Lot Turn Left On The First Road Past The House. Look For Sign On The Lake-Side.